Buy this elegant server for your special parties! 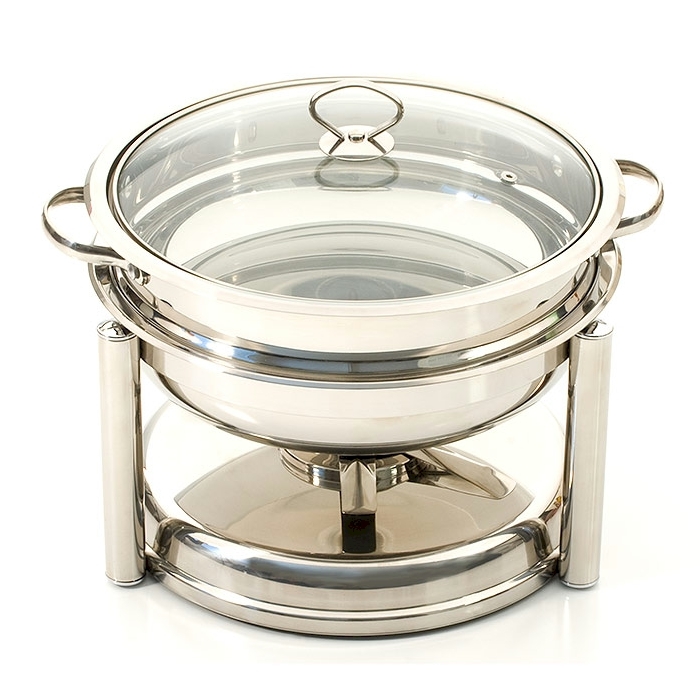 A beautiful set for serving family, friends, and company is this Kitchen Pride T304 Surgical Stainless Steel Chafing Dish. The mirror finish 4-quart pan with tempered glass lid will hold a generous quantity of your favorite recipe. 4 quart pan 11 inches wide inside and 12 inches wide with rim. T304 stainless Produces a durable, dependable and attractive cookware piece worthy of any dining space. Solid materials Allow even heat distribution throughout food. 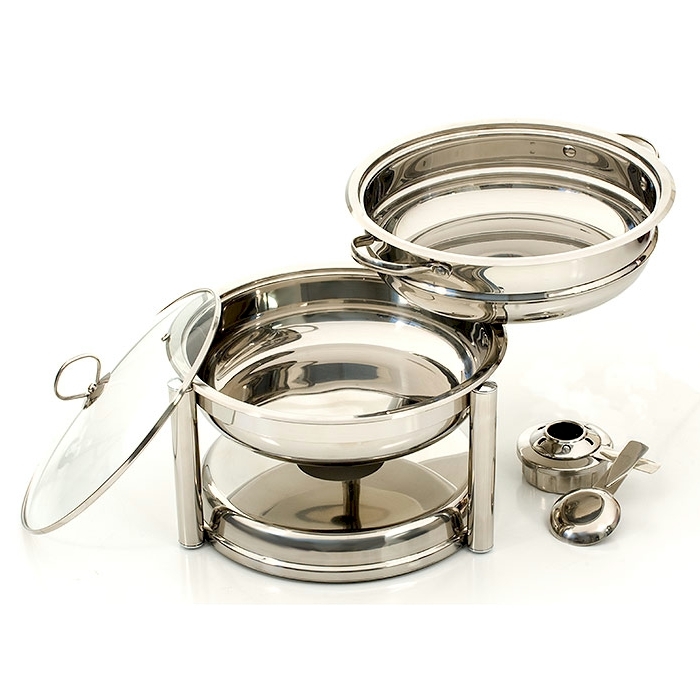 Tempered glass lid Permits looking at food without lifting the cover. Stainless steel handle Is easy to grip and lift. Fuel holder Is held in place in the base. Mirror finish Creates a desirable looking cookware piece for the serving table.